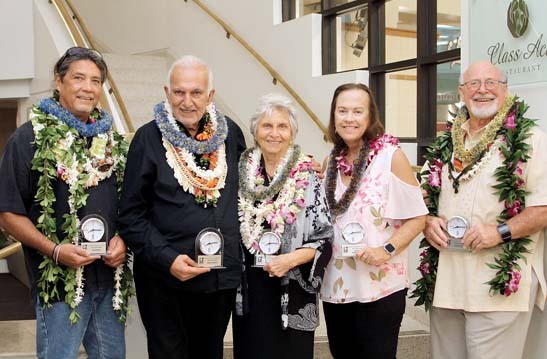 Maui Seasons for Peace held its signature annual Maui Peace Hero Awards event recently at the University of Hawaii Maui College Paina Dining Room. The event has been held annually since 2002. • Paris Nabavi — director of Nabavi Legacy Fund. • Ron Panzo — creator of the Lei of Aloha for World Peace. 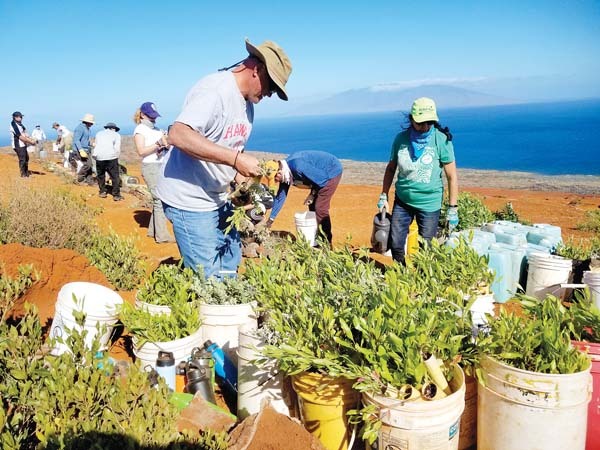 • Joseph Daniel Pluta — director of West Maui Improvement Foundation. • Organization recipient — Habitat for Humanity, represented by Executive Director Sherri Dodson. The event featured a buffet dinner, the awards recognitions and entertainment by Rama Camarillo. Event sponsors were the following organizations and individuals: Nalu’s, Ceramic Tile Plus, Rotary Clubs of Lahaina, Bahay Kubo Foundation, Friends of Joe Pluta, Friends of Paris Nabavi, Friends of Melinda Clarke, Friends of Charmaine Tavares, Friends of Elizabeth Ayson and Friends of Habitat for Humanity. For more information about Maui Seasons for Peace, visit www.facebook.com/MauiSeasonsforPeace/ or contact President Joanne Laird at mamalrd01@gmail.com.